Go home, Disney. You’re drunk. Sight. At least it’s not a movie from the villain’s perspective. Nor is it about the love interest’s brother, à la the horrible Prince Charming movie which is also in the works. On the other hand, according the Hollywood Reporter, Disney did take a script that was just supposed to be a stand-alone film about Rose Red and decide to change it to be a “companion” to Snow White. 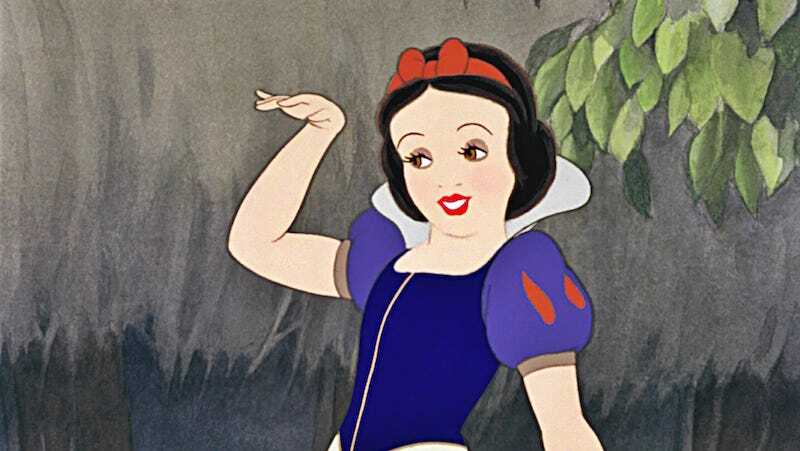 Which is fun, because the Snow White story that inspired Snow White and the Seven Dwarfs is not actually related to the Snow-White and Rose-Red Grimm fairy tale. For one thing, they’re the daughters of a poor single mother and not princesses. For another, there’s a whole thing with a bear. But, you know, screw all that. Now Rose Red is the estranged sister of Disney’s Snow White. And when her sister takes a bite out of the apple and falls into her enchanted sleep, Rose Red teams up with the dwarfs to break the curse. This is at least an interesting take on sisterhood rather than the prince. And I bet it’s only slightly Frozen-inspired. The movie was originally called Red and was scripted by Justin Merz from a pitch by Evan Daugherty (Snow White and the Huntsman, of course). It’s now thankfully been renamed Rose Red, which is much more distinctive. Either way, Disney needs to stop making these live-action takes of their classic cartoons. It’s getting so old.